Shige Watanabe remembers the boom days. "It was solid cars on the roads. The factories ran full steam, constantly," he says, standing in front of the electronics shop he has run for 30 years in the Japanese town of Yaita. A car occasionally cruises by his shop window, packed with Aquos TVs and other Sharp appliances, but the giant Sharp plant across the street is still, its windows dark on a quiet Friday afternoon. About 1500 miles to the west, in the outskirts of Zhengzhou, China, the scene is very different, with the sounds of traffic and construction heavy in the air. This is Foxconn Electronics territory, and thousands of assembly workers roam the streets between shifts, walking around piles of bricks and construction equipment. Building crews scramble to finish dormitories next to bustling factory lines, and tractors flatten fields nearby to build more. The story of these two cities is the story of your living room, which likely contains products from both companies, under a variety of brands. Sharp is teetering on insolvency as its prices are repeatedly undercut by foreign rivals, but it is still one of the world's largest makers of LCD panels and displays for devices like tablets and smartphones. Foxconn, meanwhile, cranks out more electronic goods than any other company does or probably ever has before. In many cases, screens made by Sharp are shipped to Foxconn, where they are assembled into products like iPhones and iPads. The two are engaged in wide-ranging negotiations over a deal that may see Foxconn, founded in 1974, acquire a roughly 10 percent ownership in Sharp, which celebrates its 100th anniversary this year. The deal may also see Sharp hand over some of its factories to Foxconn, all in exchange for a much needed injection of cash. A previous agreement fell through when Sharp shares plunged in value, and the company has had to mortgage its buildings and factories to secure emergency loans, as well as reduce its workforce and wages. It's likely you can't tell where your gadgets were made, or by whom. But the two manufacturing towns provide a stark contrast between the way things used to be made, and the way they are now. The Japanese town of Yaita is a fading, placid community where many factory workers have spent most of their lives, commuting from roomy apartments and cheering the powerhouse high school soccer team on weekends. Zhengzhou is raw, pulsing capitalism, with young recruits pouring in from all over China with suitcases in hand, sleeping four to eight to a dorm room between marathon shifts on the factory floors. Workers leave a Sharp TV factory in Yaita, Japan. 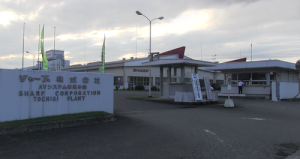 Sharp's Yaita factory, which produces its Aquos TV set, has about 1600 workers. It was built carefully around the remains of an ancient castle in an old logging region. The area was renamed "Hayakawa Town" after Sharp's founder, and includes large grassy playing fields and tennis courts for workers. Foxconn's Zhengzhou complex employs more than 120,000 workers and is absorbing the land around it as it grows, generating what feels like an entire city out of what was recently rural farmland. Li, a 22-year-old who asked to be identified only by his surname, started working at one of Foxconn's Zhengzhou factories eight months ago, drawn by recruiting ads displayed in his home city of Jincheng, located in a neighboring province. "There were a lot of employment ads for Foxconn," Li said. "The government is really promoting these jobs." "Foxconn's wage is higher than most other factories," he said. "The pay is good and so are the benefits." In August, Foxconn increased its base monthly wage to 1800 yuan (US$284), a boost from 1550 yuan monthly. Company workers interviewed, however, said they generally are able to make around 2600 yuan from the additional overtime worked. 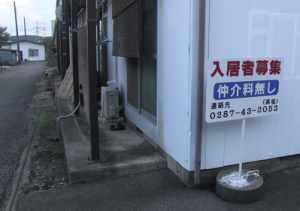 In Yaitai, a 53-year-old Sharp employee shrugs when asked about the future of the factory where he has worked for three decades. "I joined simply because I thought it was a big company that would grow," he said. "Now it doesn't really matter what I think, I'm here until the end." The average monthly wage for a worker at a Japanese electronics factory was ¥346,000 (US$4,455) last year, about ten times what Foxconn workers make with overtime. Sharp employees interviewed for this story declined to provide their names or exact salaries, citing fear of repercussions in the small town where they live and work, but all made it clear they see their employment as a career. "I joined because I'm interested in solar panels," said a 26-year-old man who entered Sharp four years ago. "I haven't had a chance to work on them yet, but eventually I hope to transfer to headquarters, and maybe that will be my chance." In Zhengzhou, workers generally take a different view. "This job is not something I want to do in the long term," said one 18-year-old high school student, employed at Foxconn's Zhengzhou factory as part of an internship organized by his teacher. "It's summer, so we work for two months and then go back to our hometowns," he said, declining to give out his name for fear of punishment for speaking to a reporter. While Foxconn is increasing wages and recruiting workers to Zhengzhou from across China as it expands, Sharp has cut salaries, asked for early retirement volunteers, and transferred hundreds of workers out of Yaita to factories in other parts of the country. The Japanese company said Wednesday its unions had agreed to an across-the-board seven percent wage cut from next month, along with a 10 percent reduction in salaries it has put in place for management. The fortunes and failures of the two companies are felt keenly in the surrounding communities. Foxconn worker dorms under construction. In Zhengzhou, Liu Zhanjun sells Chinese flat bread at a shop nestled among a long line of restaurants and convenience stores near a large, apartment-like Foxconn dorm complex that resembles a normal city block. The factory and its surrounding dorms have been a boon to the area, he said. "Before there was not much here. It was very poor," said Liu, who opened his shop two months ago. "Now I'm making more money than before." In Yaita, the outlook is darker. Yasumori Ogawa manages the ramen shop just outside the front gates of the Sharp factory. Many Sharp workers are regulars, as are employees at the dozens of supporting businesses that dot the area. The fate of the company is constantly on his mind. "It's a major concern—the things I hear from customers, what I read in the papers," he said. "We just have to deal with the reality." Empty apartments near the Sharp factory in Yaita. Yaita also faces problems that other fading manufacturing havens, like the Detroit auto belt, have had to deal with. Local citizens have protested strongly against government plans to build a new facility to hold toxic industrial waste that has built up over the decades. A sign just outside the town's main station warns children to stay away from drugs and paint thinner in bold lettering: "Fall to temptation and sacrifice the happiness of your family." And Foxconn has had its growing pains. A spate of worker suicides in 2010 was covered closely in the international press, as were incidents like a riot that broke out last week at a separate complex in northern China. In Zhengzhou, some say that despite the business brought by Foxconn, most in the working class have yet to see any real benefit. "For us, the area's economic rise hasn't mattered," said a 26-year-old worker named Wang, who also didn't want his full name published. Instead it's been the local government and real estate companies who have reaped the rewards. "The economic success is just a government statistic," he said. Monthly salaries are higher than in other places, but still so low that workers have no choice but to put in extra hours, he added. Protective measures limiting overtime have had the unwanted side effect of reducing his salary. "I'm grateful for Americans for paying attention to our working conditions, but this has affected our pay," he said. "My one-month salary can't even buy an iPhone. It's really ironic." Foxconn is having no trouble drawing new recruits to Zhengzhou, however, and Sharp appears to see little alternative to negotiating with its deep-pocketed Taiwanese rival. The two companies have already completed a deal that saw Foxconn take part ownership in its flagship LCD panel factory in southern Japan, a once unthinkable move for the proud manufacturer. In its favor, Sharp's in-house technology is highly advanced compared to Foxconn, with the ability to produce items like super-thin touch panels for phones and tablets, highly efficient solar panels, and giant-screen LCD TVs. Still, the future of the Japanese manufacturer may be found in its past. In 1952 the Japanese company licensed monochrome television patents from U.S. maker RCA, which possessed its own portfolio of advanced technologies at the time. Like Foxconn today, Sharp leveraged its cheaper labor and invested heavily in research efforts. Thirty years later RCA collapsed. RCA's own manufacturing complex in Camden, New Jersey? Eventually it was converted to a luxury apartment building.